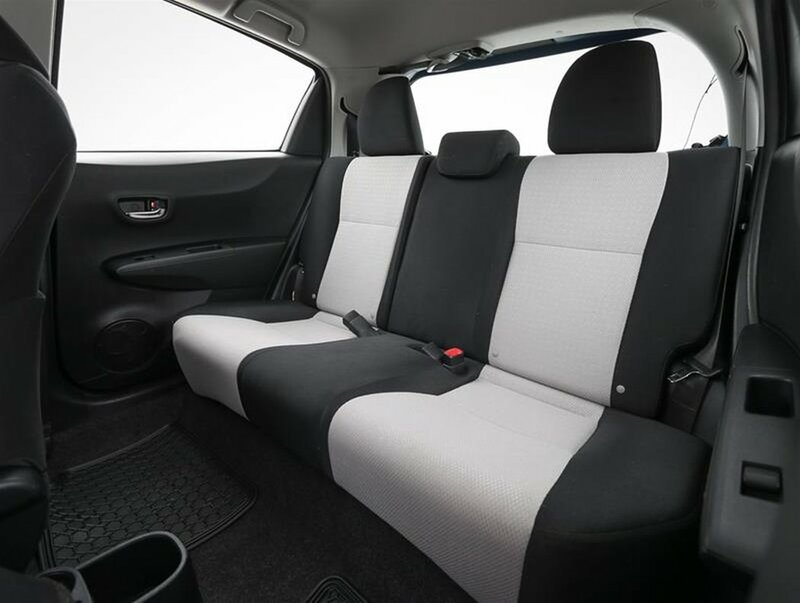 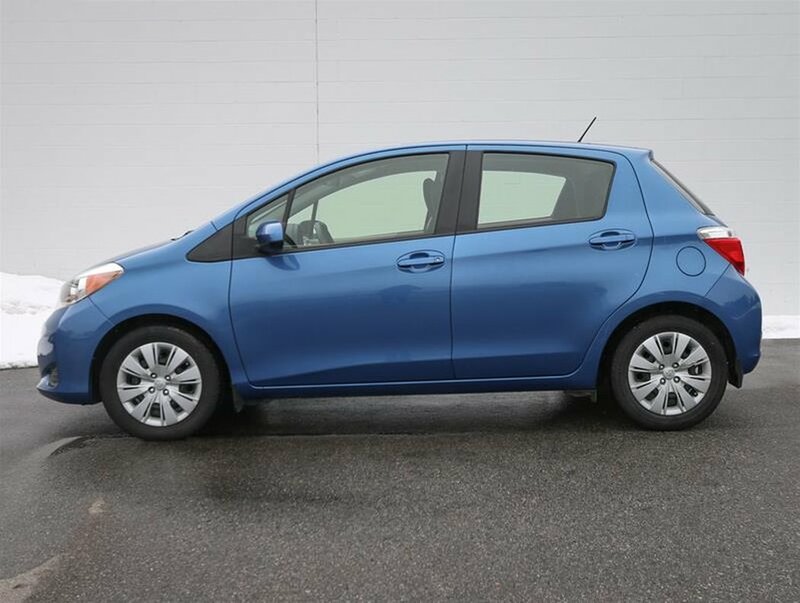 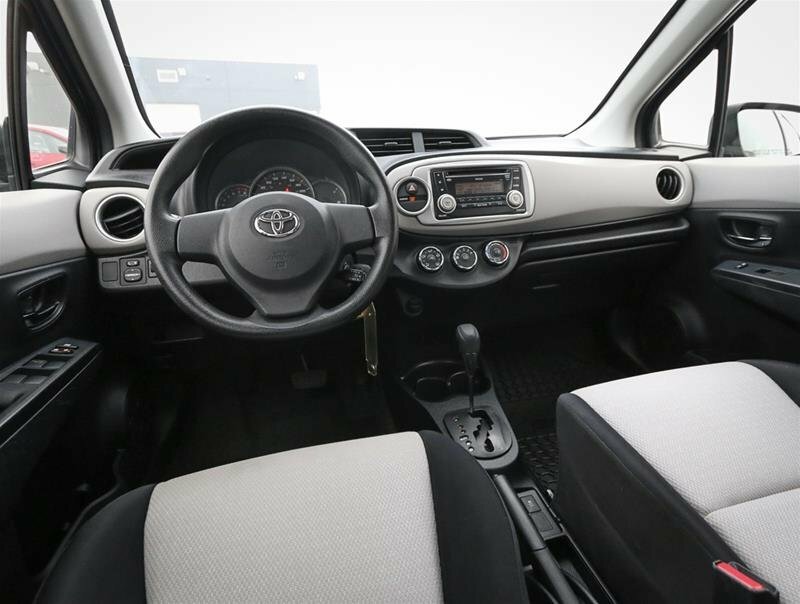 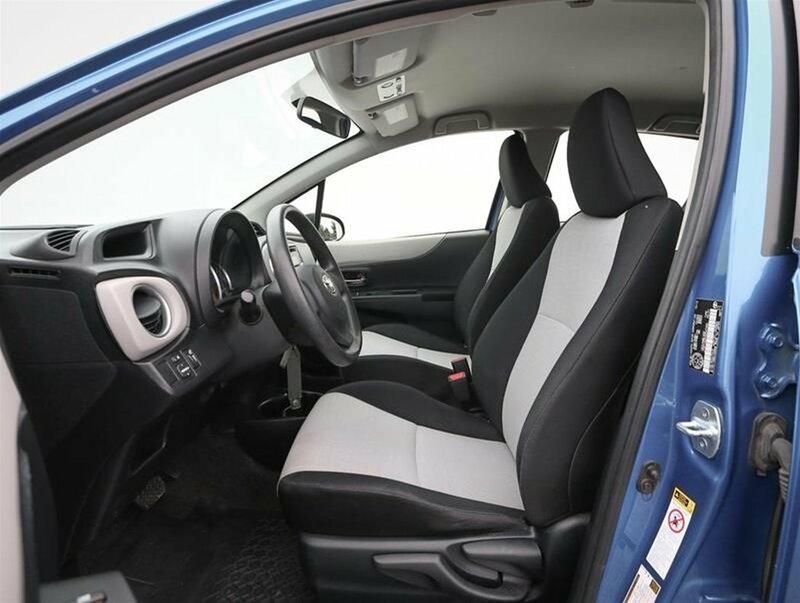 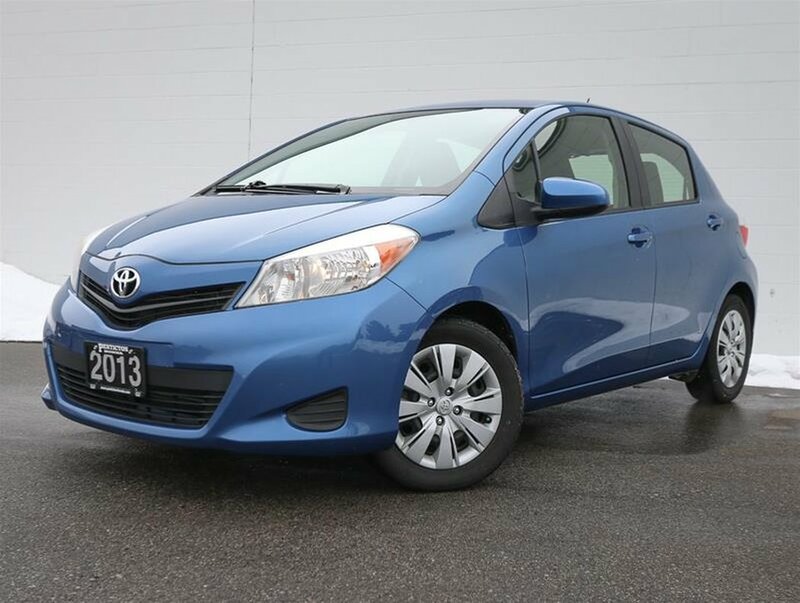 This 2013 Toyota Yaris LE was purchased at the local Penticton Toyota dealership in June of 2013 for around $17,000 MSRP. 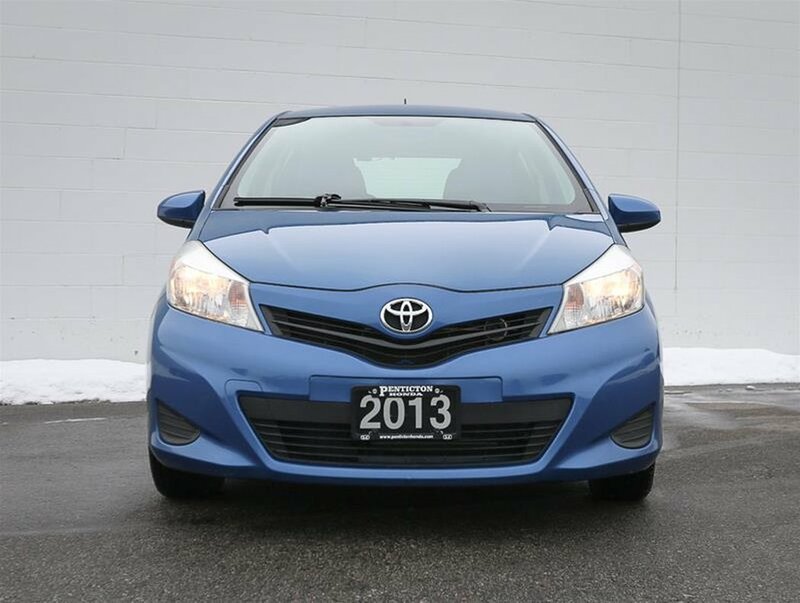 Comes in a Blazing Blue Metallic exterior that is complimented nicely with a black and grey cloth interior that shows beautifully, and has never been smoked in. 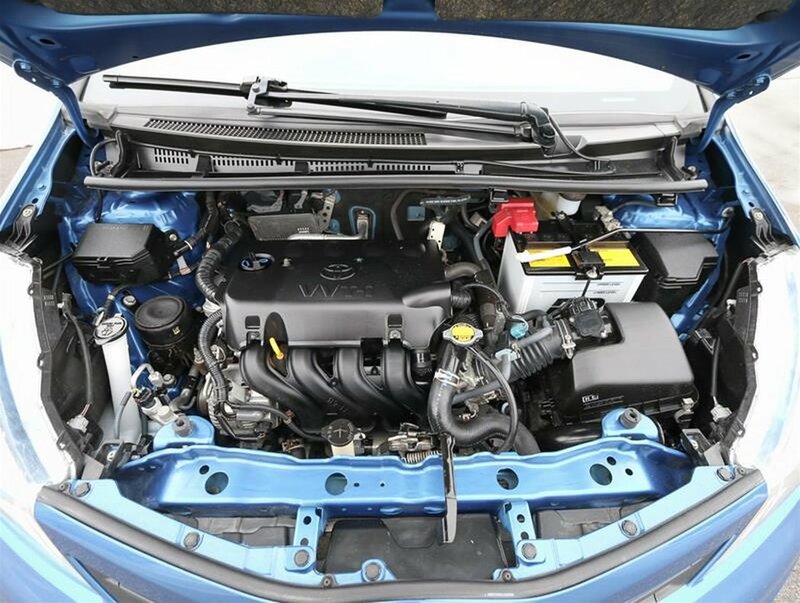 Powered by an efficient 1.5L 4 cylinder engine that gets up to 36 highway MPG. 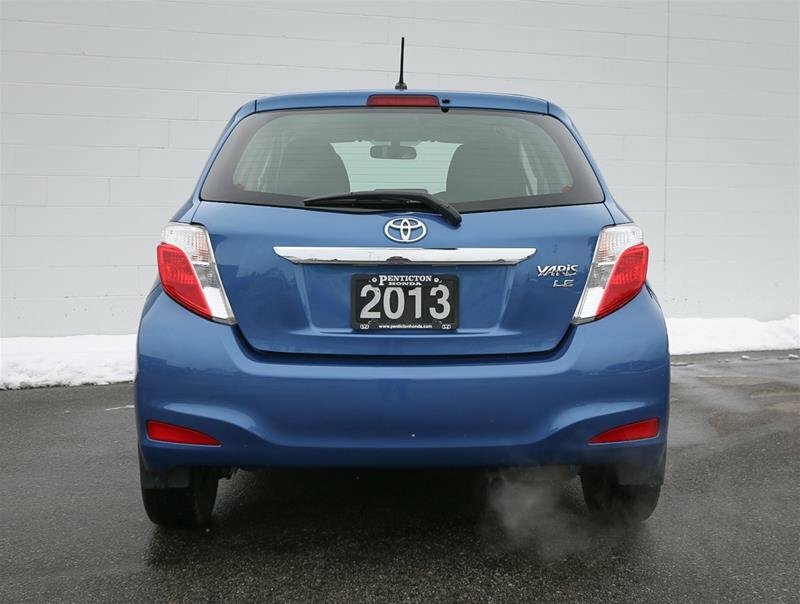 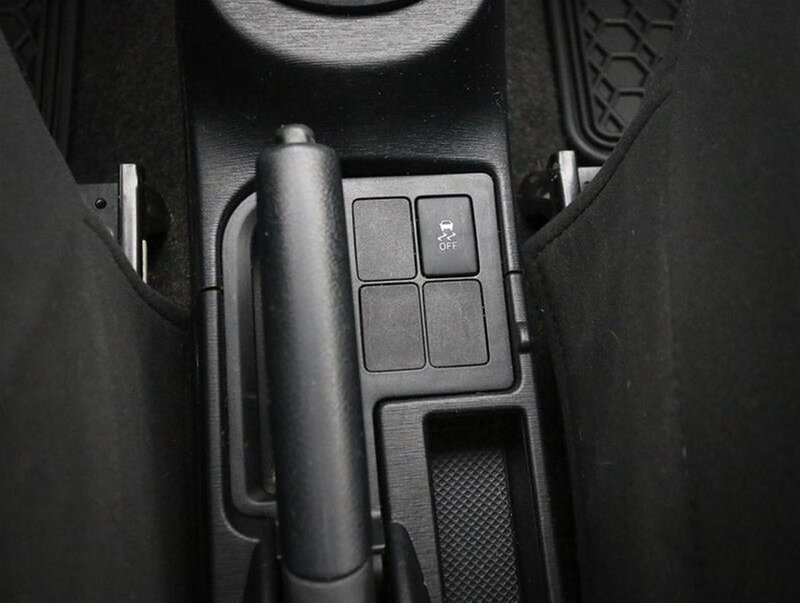 Equipped with Bluetooth, AC, all-weather mats and mud flaps. 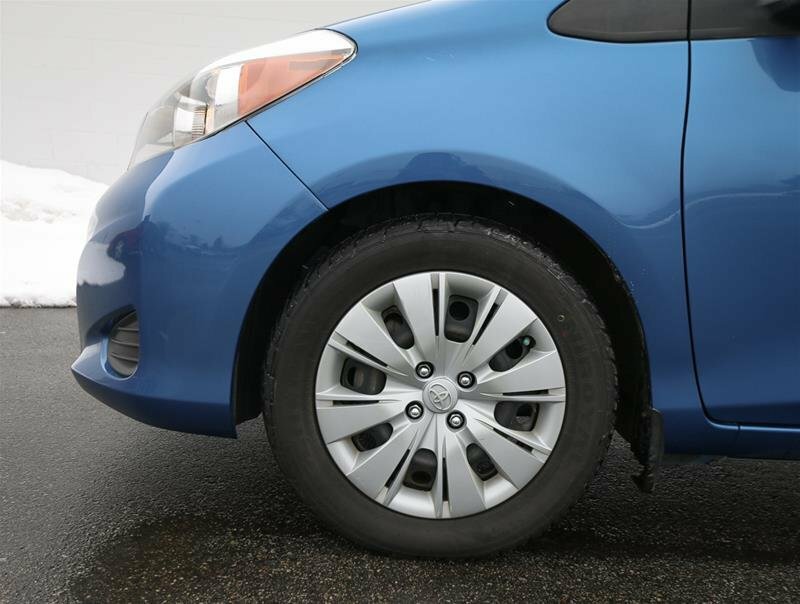 Comes with two sets of tires! 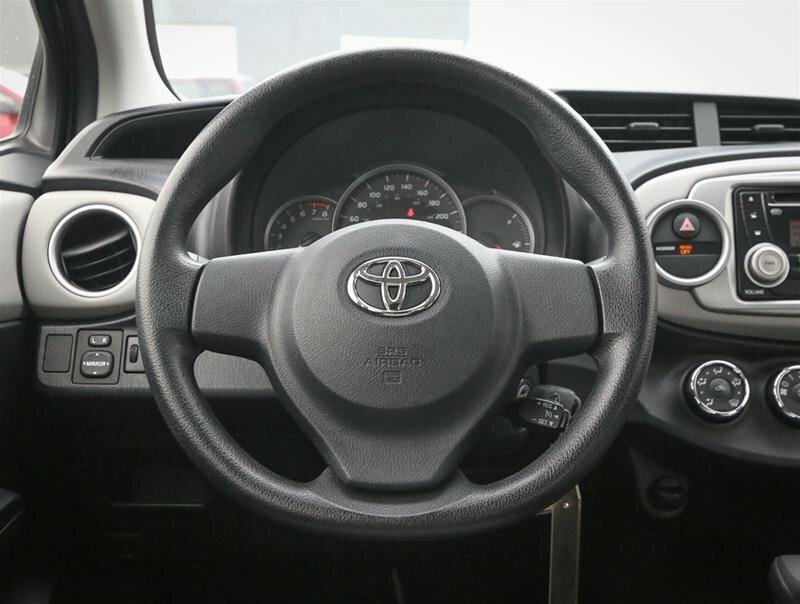 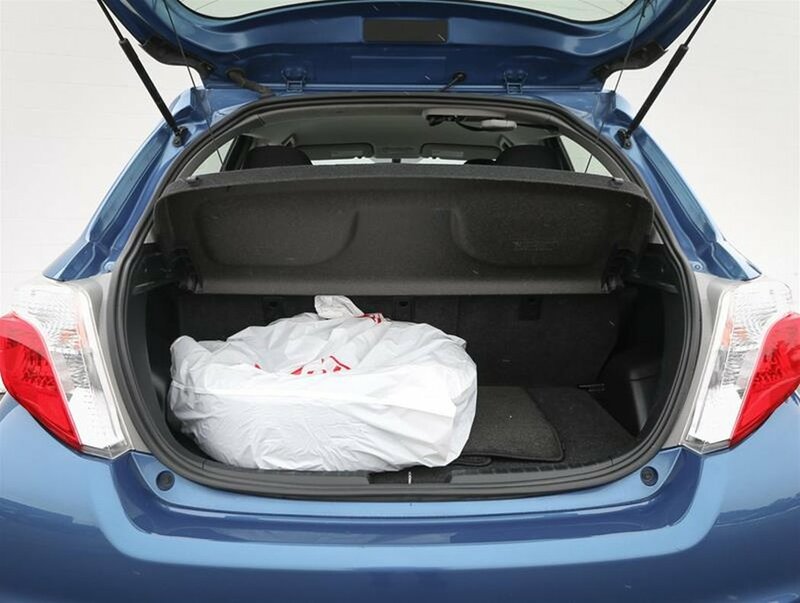 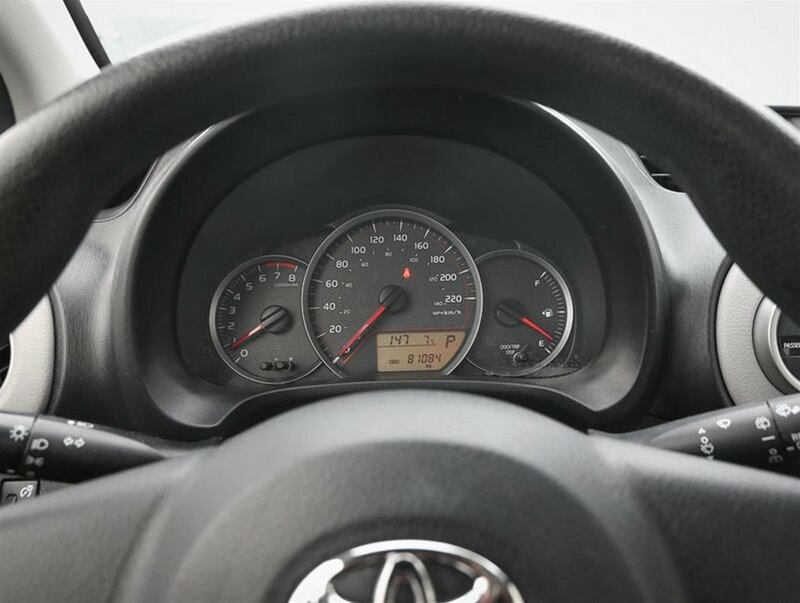 For peace of mind, we put the Yaris through a multi-point, comprehensive used vehicle safety inspection to ensure driving quality. 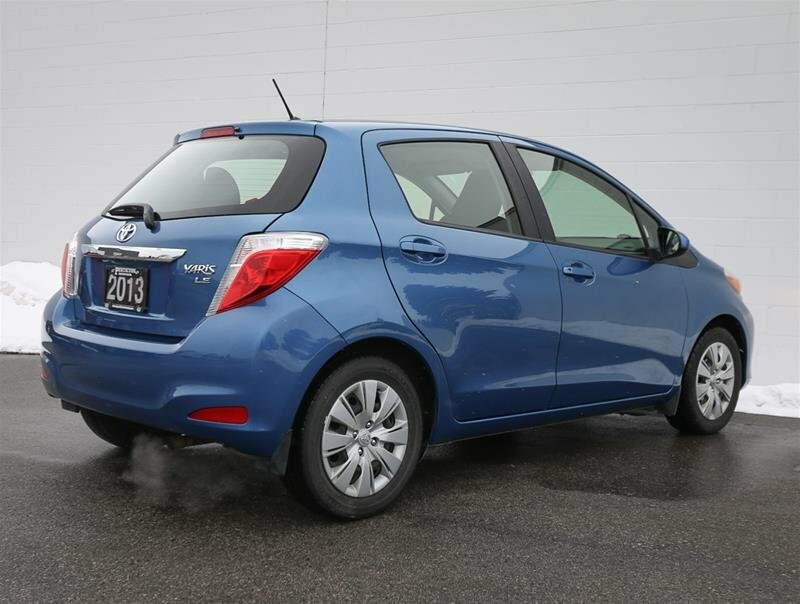 As part of that inspection the front wipers were replaced, the oil/filter changed and the tires filled with nitrogen for longer wear. 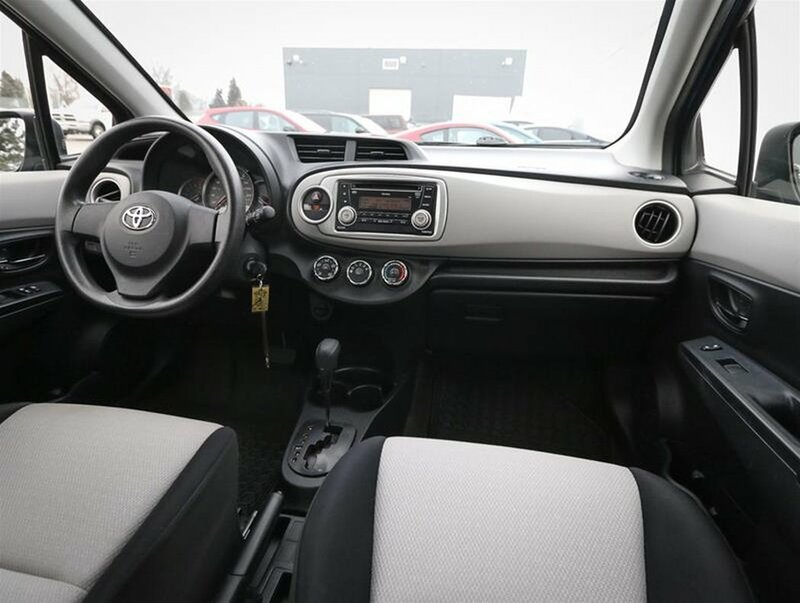 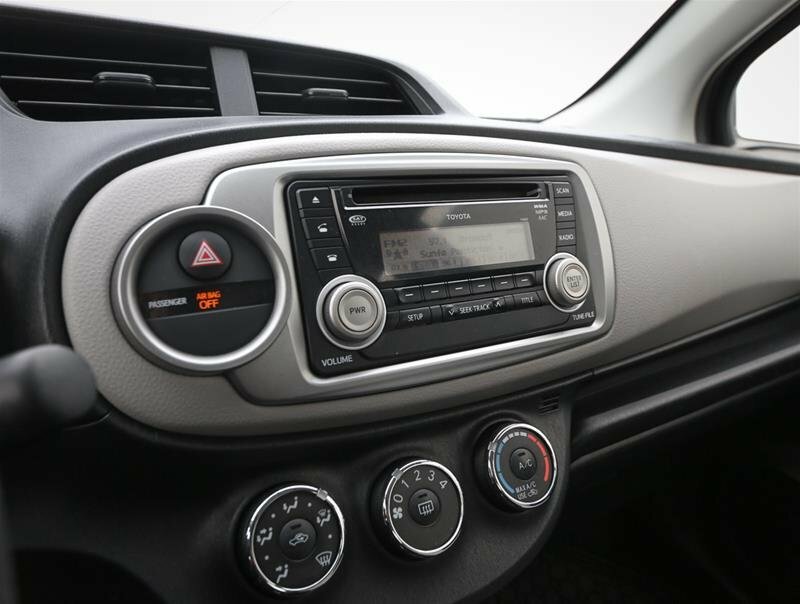 Some of the features in the 2013 LE model include power windows/locks/mirrors, Bluetooth, AC, AM/FM/CD audio system with WMA/MP3 playback capability, traction control, all-weather mats, a cargo cover, 2 sets of tires, mud flaps and more!